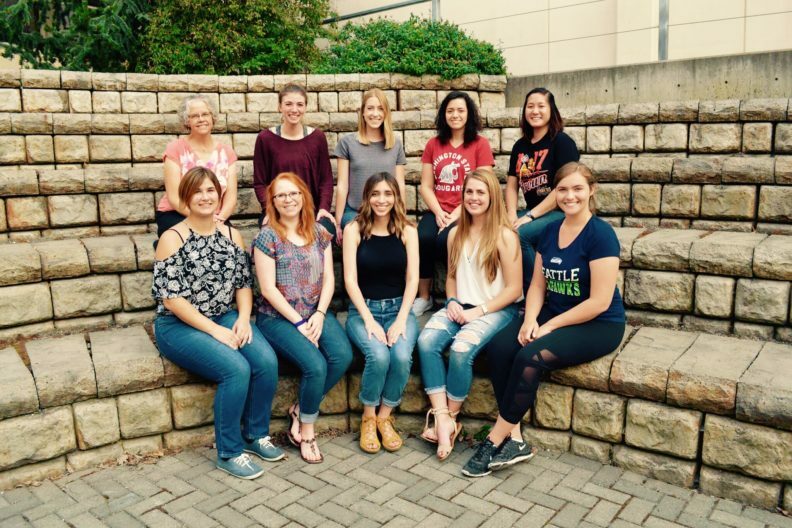 We welcome women from the Voiland College of Engineering and Architecture as well and math and science majors. Men are welcome to join our group and support their classmates and fellow future engineers. We do not charge dues, so showing up to meetings and activities automatically makes you a member! To join our mailing list please email us at wsu.swe@wsu.edu! If you would like to receive the SWE Magazine and get updates about the professional SWE sector, you can pay and become a nationally-recognized member at www.swe.org. Typically meet twice a month on Thursday from 5:30-6:30pm. Room and activity announced on Facebook/email. Thank you to everyone who attended Evening with Industry! We had record-breaking attendance with around 200 students and 31 companies!